New Mexico shield with MUTCD fonts. The very first trail signposted along Route 66, 1913. 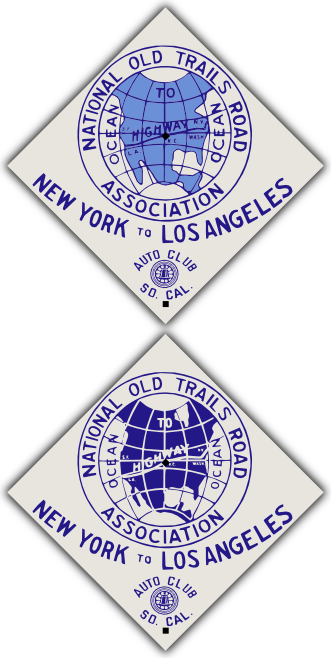 This trail, along with the Santa Fe Trail, the National Road, and the Atlantic Highway, formed the National Old Trails Road Ocean to Ocean Highway in 1914. 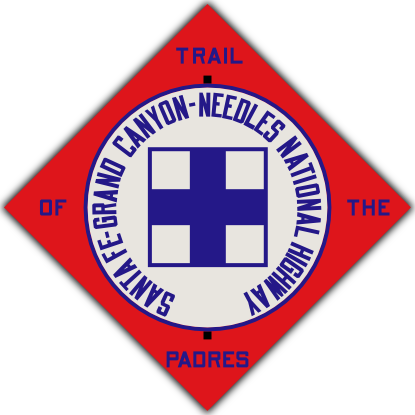 This trail marker predates the Auto Club of Southern California's porcelain signage all over the southwest. 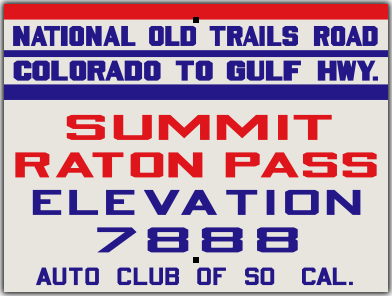 This style of guide sign was placed by the Auto Club of Southern California all over the southwest, primarily in California. It was used from around 1913 to 1929. 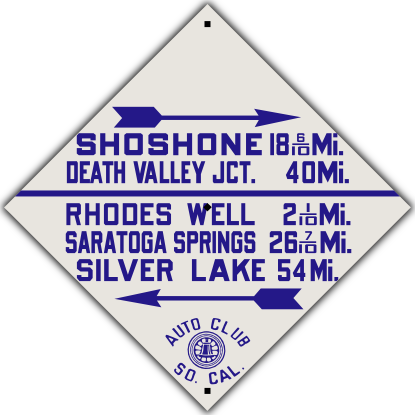 This style of guide sign was placed by the Auto Club of Southern California all over the southwest, including along Route 66. It was used from 1915 to 1927. The sign is 24 by 18 inches. It is porcelain enamel on steel, just like classic signs were made back in the day.